Exclusive – Watchfinder & Co. examines Panerai’s alternative choices. Panerai is sometimes criticized for living in the past, clinging on to designs that had their day over half a century ago, but we don’t think that’s true – not even close. 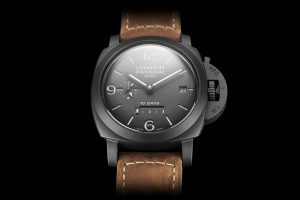 With that splinter lodged firmly in his mind, The Watch Magazine’s Andrew Morgan sets about gathering together five of his favourite alternative Panerai to show you just how different they can really be. Sandwich dial? Check. 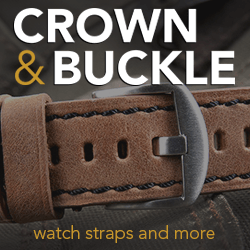 Crown guard? Check. Cushion case? Check. 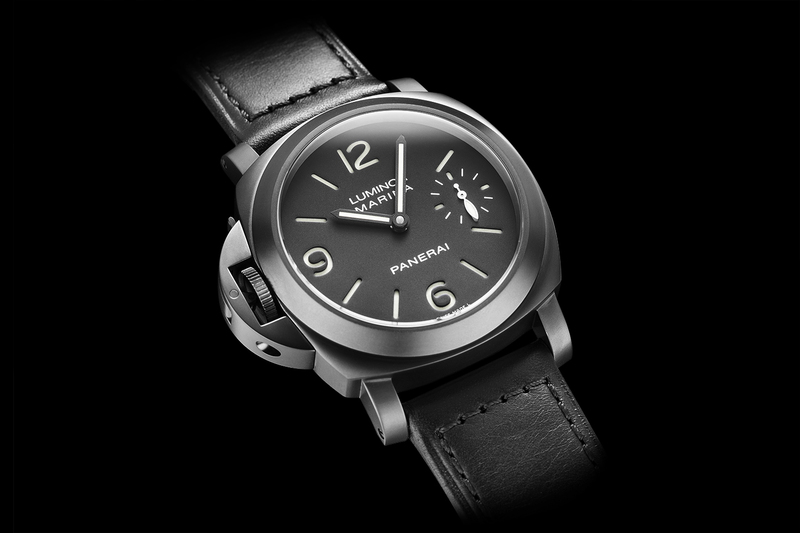 Doesn’t sound like much of a difference, but hang on to your hat, because the PAM00026 is a PVD-coated, left-handed gem of a Luminor. The ‘destro’ crown is rarely seen and is a collector’s fantasy, the gunmetal grey PVD coating is the height of industrial cool, and it all comes together without taking anything away from the original essence that makes a Panerai watch so great. 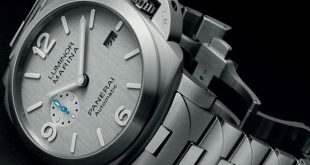 The Rolex Daytona is very popular with a white dial, so why not Panerai’s Luminor Daylight too? 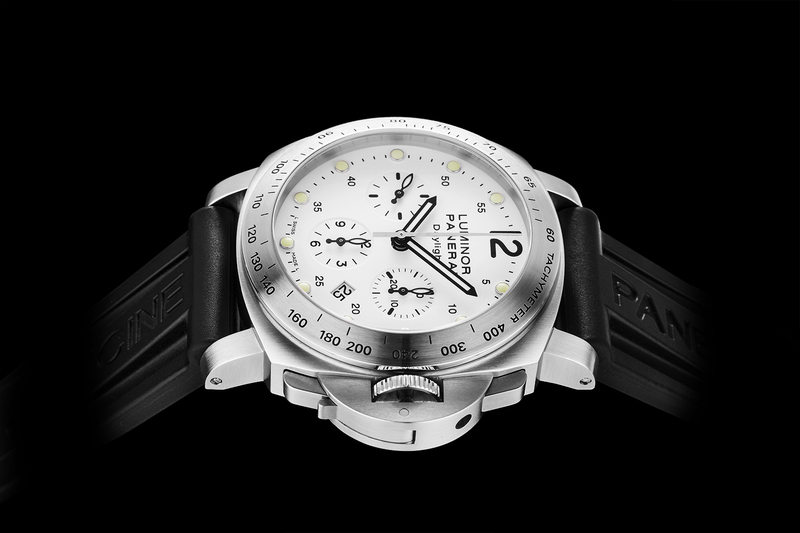 The tachymeter bezel and chronograph dial look suitably far removed from the Panerai Luminor ‘look’ for anyone hunting for something a bit different, and all without having to commit the unholy sin of losing the trademark crown guard. As an extra little treat, Panerai have matched the date wheel with the dial colour, a detail that many other watch brands often overlook. 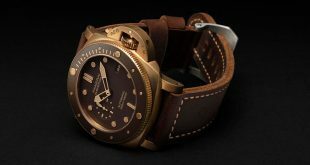 All Panerai watches have big cases and leather straps, right? Wrong! 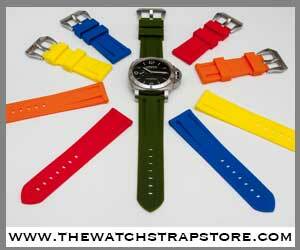 This 40mm beauty is as dainty as a Rolex Submariner and packed full of fiery Italian character. The steel bracelet mirrors the design of the crown guard and adds a balanced heft to the watch, which, being smaller, slips under cuffs in the way its 44mm cousins can only dream of doing. 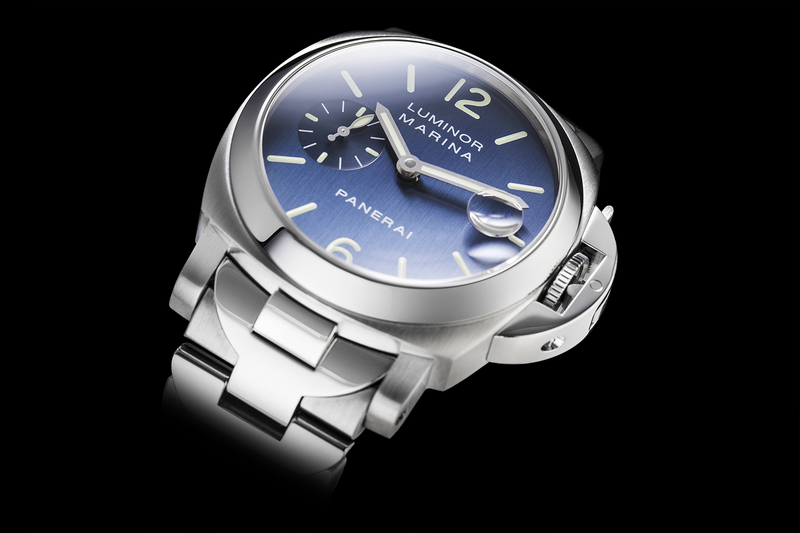 Oh, and its got a stunning blue sunburst dial as well. Zirconium Oxide may sound like the beginnings of a boring science lesson, but in this instance it constitutes the sintered powder that forms the case of the PAM00335. 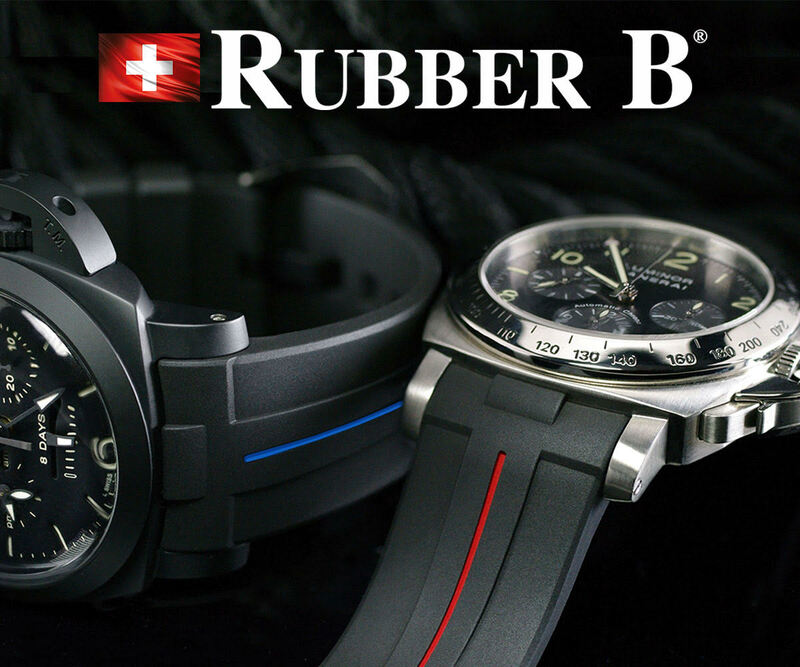 ZrO2 is a form of ceramic, and has a pleasingly rich matte-black finish that not only looks good, but is also as hard as nails (actually, harder – five times harder). Making the ceramic cases requires temperatures of up to 1,500°C and diamond grinding tools to finish. 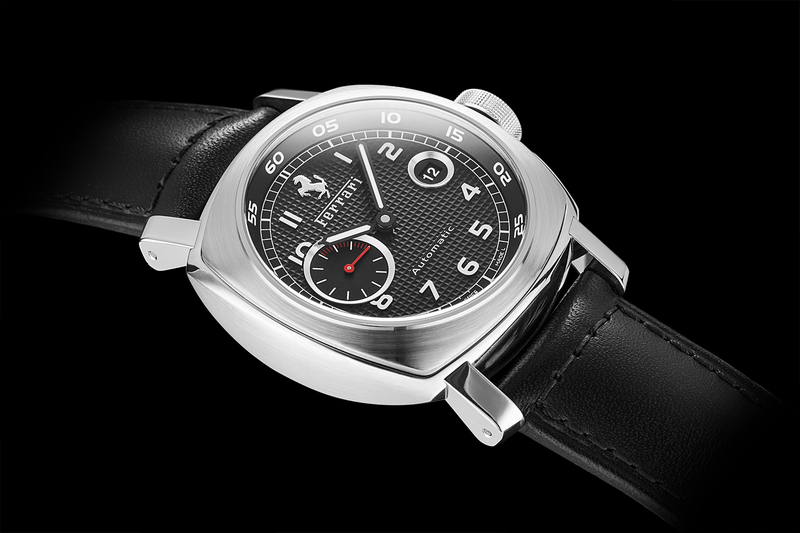 We’ve saved the most left field of the alternative Panerai for last, and it’s the first of the ill-fated Ferrari watches. The partnership with the Italian supercar manufacturer may not have stood the test of time, but the watches will, and their scarcity makes them even more appealing. 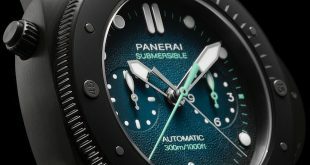 They can also be found at significantly reduced prices compared to their more widely seen Panerai brethren, making them surprisingly good value as well. 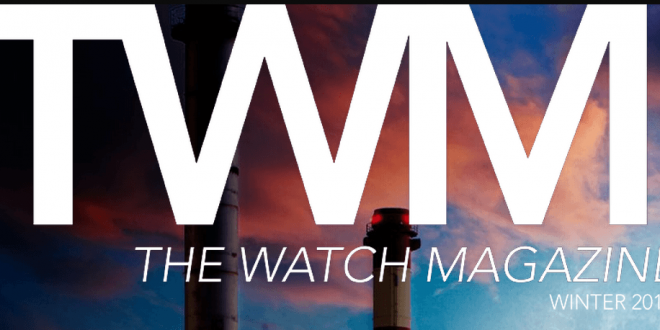 Andrew Morgan is editor of Watchfinder & Co.’s digital horological publication, The Watch Magazine, which can be downloaded from the App Store and viewed here. 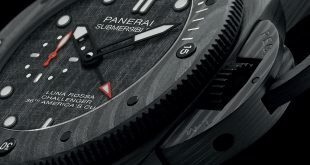 The watches in this article are available to purchase at www.watchfinder.co.uk.